Ralph's long history in customer service has allowed him to start the business on the foundations of excellent customer service, value and quality craftsmanship. It is these qualities that provide an incredible track record of success; recommendations from delighted customers keep Ralph very busy in all facets of home maintenance and paint finishes. The combined history and experience of the team ensures that the process is managed around the client’s daily schedule including after hours and weekend work if required to avoid minimum disruption. Since 1984, Exceeding Expectations has been the driving force of the Kleenmaid worldwide network of designers and engineers who demand excellence in every product bearing the Kleenmaid name. 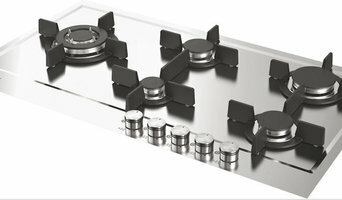 Our "Appliances of World Distinction" are the preferred choice of more than 530,000 Australian homes. Zip is a privately owned, proudly Australian business that has been manufacturing and marketing Australian designed and made instant water systems since 1947. 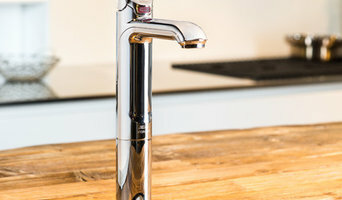 The world’s most advanced drinking water appliance is available in 6 designs and 12 contemporary colours, to effortlessly complement any home or workplace. The revolutionary Zip HydroTap is available in the New Design Range consisting of three elegant options – the Arc, the Cube and the Elite. All of these options are available in a range of premium finishes including rose gold, brushed rose gold, gold, brushed gold, platinum, gunmetal, brushed nickel, nickel, bright chrome, brushed chrome, matte black and gloss black, so you are sure to find a design to suit any style. Timeless and enduringly classic, the Arc boasts a curved ‘swan neck’. It channels the Victorian era, yet sits just as happily in a modern kitchen as it does a period home. Perfectly meeting in the middle of definitive and subtle, the Cube is bold and beautiful with a soft square shape, rounded on its corners. And last but definitely not the least, the Elite is a compact design, a statement in it’s own right, sure to please the minimalist interior. And as practical as they are beautiful, all three taps can be situated over-the sink or on-font, and all benefit from the latest innovative technologies, with features incorporating superior user-friendly operation, Wi-Fi Assist, patented Power-Pulse Boiling, DirectDry Chilling and ColdCore Carbonation matched the ground-breaking 0.2 MicroPurity filtration system to transform water into a form you’ll instantly love. Welcome to PRESTIGE APPLIANCES CHATSWOOD We will help you to make your dream kitchen and laundry become a reality with our unbiased professional advice. Since our inception as the premier boutique appliance retail store on Sydney’s North Shore, we have supplied over 10,000 appliances to the greater Sydney market. We pride ourselves on being a specialist appliance retailer direct from the importer to the consumer. At PRESTIGE APPLIANCES CHATSWOOD, we stock all your favourite appliances, direct from the Australian, European, Japanese & American manufacturers. We are Australia's leading kitchen and laundry specialist, with an unmatched selection of the world's best cooking and laundry brands. Our expert team of buyers search the globe to find the most outstanding products at the forefront of design and innovation. We always take into consideration the needs of the Australian lifestyle to make sure all of our products enhance the unique way we live in our homes. A family business since 1906, we have a proud heritage and strong values centred around family. Most of all, we share the same passions as our customers: their pleasure in cooking, their eye for design and their love for the home. Bream Innovation Pty Ltd is an Australian company run and owned by a qualified Australian Electrician. Noticing that there was a gap in the market for smart benchtop power outlets and USB direct charging solutions we introduced the PowerTower. Our company goal is to deliver innovative and affordable electronic solutions to the Australian public. Focusing initially on the PowerTower we aim to expand our product line in the future. 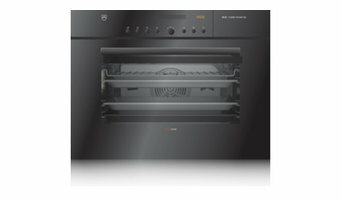 Smeg is world-renowed manufacturer of premium kitchen appliances famed for technology with style. For seventy years Smeg has been a leader in innovation, responsible for many “world-first” technologies and high-quality products that stand the test of time. As an Italian family-owned company, Smeg is devoted to bringing the best meals to the table in the easiest manner. And in typical ‘Made in Italy” style, they do it with panache. Smeg is the only brand to collaborate with world-famous architects to design distinctive collections to furnish homes of every conceivable décor. Smeg also believes you should enjoy personal choice. Smeg’s appealing design collections include Classic, Linear and Victoria - each with world-leading Thermoseal technology for better cooking and architectural style that will be beautiful for many, many years to come. Visit our Fisher & Paykel Experience Centre to view a key selection of Fisher & Paykel and DCS Grill products – in a space that provides a truly inspirational environment to explore, plan, choose and cook. Located in Alexandria, the heartland of Sydney's design district, our Experience Centre has been designed to inspire and empower, and give you the freedom to create the kitchen or laundry of your dreams. Sit down with our Fisher & Paykel product design expert for a tailored product selection session, or join our resident cooking specialist for a pre or post purchase cooking class. Zingness is a design store focused on selling and creating homeware and fashion accessories. Our Custom Interiors service aims to match the brand identity of our clients with their point of sale's decoration. BIBO Water markets and distributes the "BIBO Water Bar" - an innovative and stylish counter top water dispenser that filters and purifies water, serving it chilled, ambient and boiling hot at the touch of a button. The BIBO Water bar comes in 10 designer colours to suit any decor and is easily plumbed into the mains ensuring an endless supply of crystal clear great tasting water for all hot and cold beverages. Designing modern and traditional kitchens to suit your style, we work closely with you from the original concept design all the way to the final installation. We specialise in stunning and uniquely functional designs. Bringing together a successful team of cabinet makers and trades to deliver you the best in the business. Our attention to detail ensures your kitchen build runs smoothly. Your New South Wales appliance professional might handle any or all of the following jobs: selling, installing, repairing and upgrading both small and large appliances. He or she can advise you on the right equipment for your Waterloo, New South Wales home, from features to finishes, and is usually in the know about the latest technological advances and bells and whistles. When appliances hit a snag or start to show their age, a pro can advise you whether to repair or replace them, then carry out his or her recommendation. Some appliance professionals in Waterloo work closely with Waterloo, New South Wales builders, renovation contractors, and kitchen and bath designers, among others. Here are some related professionals and vendors to complement the work of appliances: Kitchen & Bathroom Fixtures, Kitchen & Bathroom Designers, Kitchen & Bath Renovators, Specialty Contractors, Building Project Managers. Find an appliance professional on Houzz. Narrow your search in the Professionals section of the website to Waterloo, New South Wales appliances. 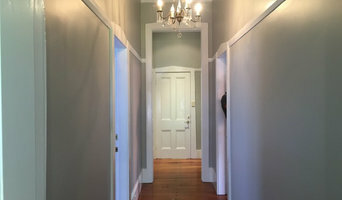 You can also look through Waterloo, New South Wales photos to find examples of rooms with appliances you like, then contact the professional who worked on them.